The Turnberry brand is a way of life, it is distinct and offers unique resort-style amenities and personalized services in a residential setting. Residents at Turnberry Ocean Club will also enjoy a membership to Turnberry Isles Resort and Country Club, steps from their front door and its array of amenities including a deep water marina, spa, racquet club, two 18-hole championship golf courses and much more. Upon entering the preconstruction sales market in late October, this exclusive residential development immediately welcomed an influx of global demand from buyers. 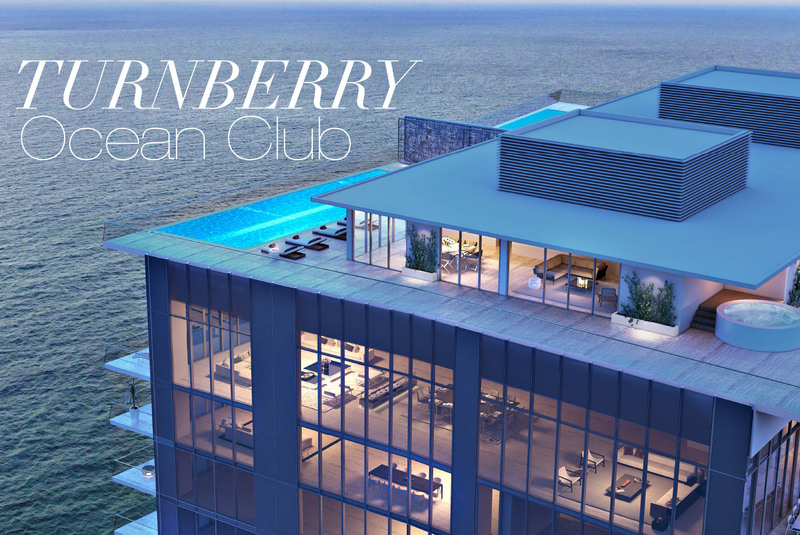 Consisting of prominent South American families, New Yorkers, Canadians and most recently Europeans; Turnberry Ocean Club’s appeal to wealthy investors drawn to the architecture of the building and strong withstanding of the brand Turnberry. Positioned as an exclusive, lavish first-rate development in Sunny Isles Beach, Turnberry Ocean Club offers spacious flow through residences with direct ocean views. Located at 18501 Collins Avenue, Sunny Isles Beach, Florida, Turnberry Ocean Club is an ultra-luxury condominium development scheduled for completion in 2018. The building will have three, four, five, and six-bedroom units starting at $4 million, this highly anticipated project sits oceanfront and will deliver each residence with a spectacular view from eleven-foot-deep balconies and outdoor living spaces. The design team is composed of Carlos Zapata, Robert Swedroe, Jan Clausen CCID and local landscape architect firm, EDSA. Amenities include direct oceanfront and bay views, membership privileges to Turnberry Isle Resort, beach service, three lounge areas, three private dining areas, six floors of amenities, thirty-one ocean view cabanas, three swimming pools, multi-lingual concierge, 24/7 valet, and security. 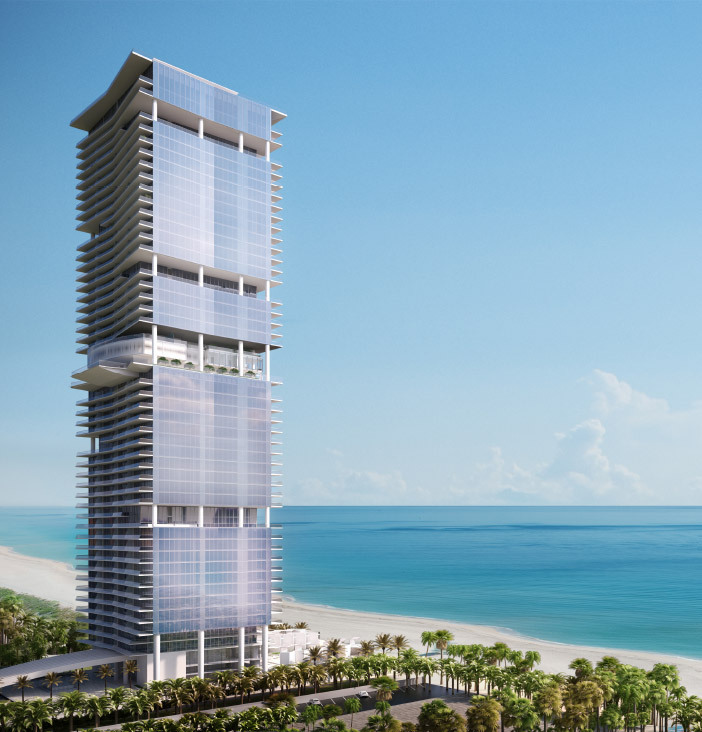 Developer and CEO, Jeffrey Soffer of Turnberry Associates, continues to offer sophistication, exude luxury and redefine South Florida through the company’s fifty years of experience. 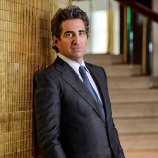 Jeffrey Soffer, Chairman, and CEO of Turnberry Associates combines his expertise and family legacy in high-end hospitality with residential living creating an exclusive resort-like lifestyle for residents. Located in Sunny Isles Beach, this private beachfront development offers exceptional five-star amenities on and off its campus, unmatched in South Florida. 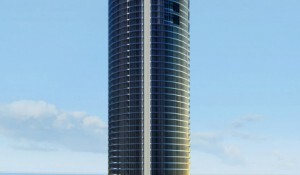 Once again Jeffrey Soffer raises the bar in extravagant living with Turnberry Ocean Club the latest development. Perfectly set on the white sands of “Millionaire’s Row”, Turnberry Ocean Club Residences was designed by globally acclaimed design architect, Carlos Zapata, and architect Robert Swedroe. Visionaries for ultramodern style and innovative technology, Zapata and Swedroe envisioned a 3-story $100-million Sky Club 300 feet above sea level. Owners and their guests will enjoy a one-of-a-kind experience with over 37,500 square feet of never-seen-before amenities. 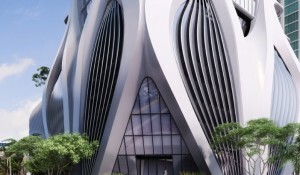 Including a state-of-the-art indoor and outdoor fitness centers. 3,000 sq ft are for the dining experience. 3,000 sq ft covered outdoor lounge overlooking the Miami skyline. In the bay area will be for entertainment, hydrotherapy spa, day cabanas. The sky theater, and the Sky Club’s unique feature: Sunrise and Sunset views. During its fifty-year history as a leading real estate development and property management company, Turnberry Associates continues to pioneer the path for other developers. The company’s diverse residential, hospitality, retail and commercial projects valued at more than $10 billion, have received accolades for revolutionizing the living, working, leisure and shopping habits of millions of people across the country. From Turnberry Ocean Colony, Porto Vita, Aventura Mall, Fontainebleau Hotel in Miami Beach and Turnberry Isle Resort in Aventura to signature properties in Las Vegas, Washington D.C. and the Bahamas. Turnberry Associates has always been known for superb quality and impeccable service. And Turnberry Ocean Club has raised the bar on private oceanfront club living in South Florida once again.